This lodge style vacation home near St. 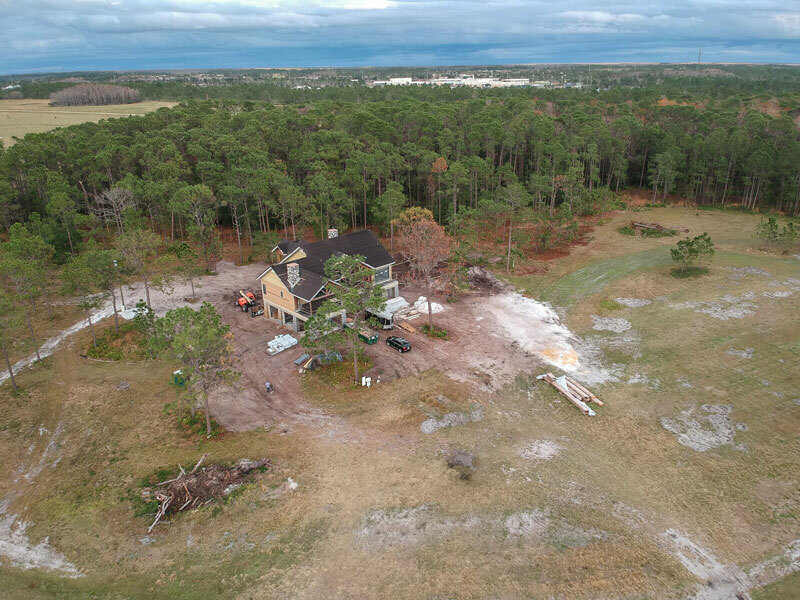 Cloud is being built on 1,200 acres adjacent to a 30 acre lake. 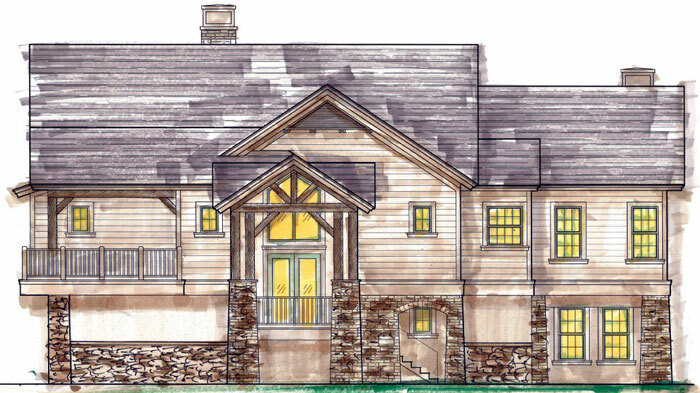 Rear elevation of the country home with a lower level consisting of self-contained guest quarters including a separate kitchen, laundry, 2 bedrooms, 2 1/2 baths, and 2 covered patios with fireplace. An elevator will easily connect the two levels of living space. 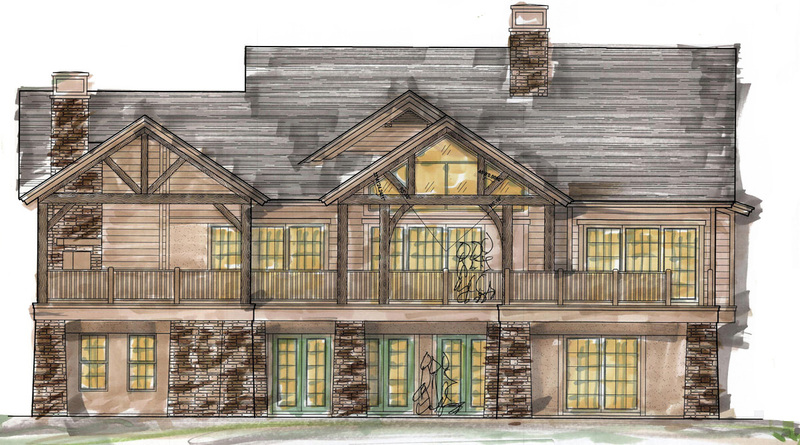 Front elevation of the 4,200 square foot vacation home. Rustic stone, cypress beams, stained concrete, and dark wood floors will lend themselves to the rustic lodge nature of this unique vacation home. 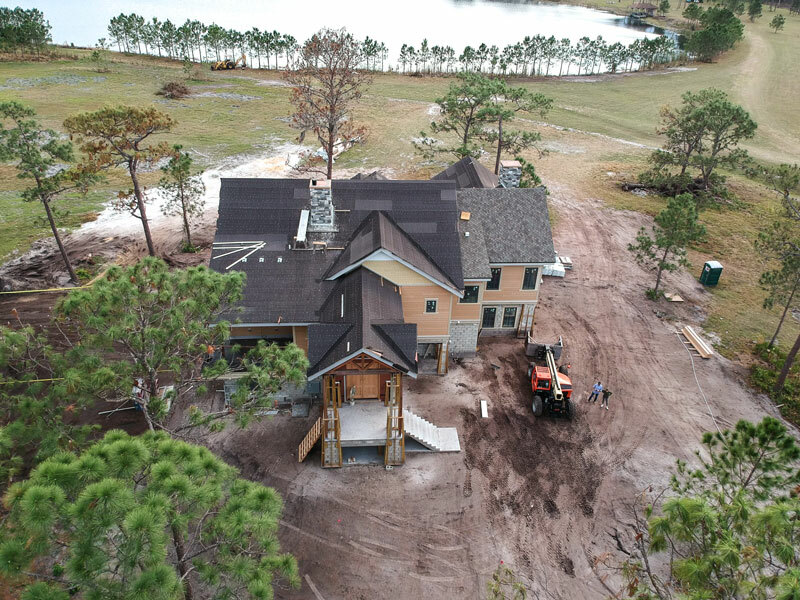 The main living quarters are on the upper level to afford an ideal view of the 30 acre lake, and will contain a sprawling owner’s suite, guest suite, upper lounge, great room, wine room, kitchen with walk-in refrigerator and walk-in freezer, and covered deck.